The Verso Paper mill is seen in Bucksport Tuesday. 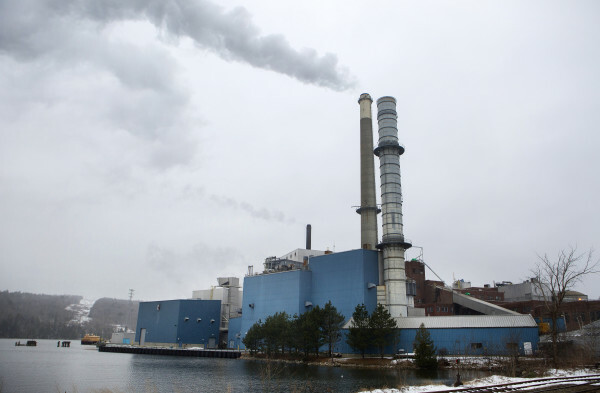 PORTLAND, Maine — The bankrupt power generation company located next to the shuttered Verso Paper mill in Bucksport has sued General Electric, alleging that GE failed to stick to a maintenance schedule for its largest turbine generator. Bucksport Generation LLC, a subsidiary formed by mill owner AIM Development, filed its complaint against GE this week as part of its Chapter 11 bankruptcy reorganization. The company claims about $12.6 million in damages from GE, an amount that would make up about half of the assets the company has claimed. The power generator earlier this month listed about $25.1 million in liabilities and $26.9 million in assets, including the $12.6 million GE claim. Bucksport Generation reported in November that it has about $7 million worth of physical assets, based on the book value of its machinery and adjusted value of its inventory. In its complaint against GE, Bucksport Generation said it sought in May to end the service agreement, stating GE didn’t provide parts or perform maintenance in line with the contract for maintenance on its G4 turbine. GE has disputed the power generator’s claim, saying it’s owed about $15 million under the contract. The contract dispute would have been filed in state court if Bucksport Generation had not filed for bankruptcy. Apart from bringing money into the bankruptcy estate for creditors, the power generator has said it intends to reject the contract that doesn’t fit its needs. Kyle Nenninger, a partner in Energy Advisory Partners and employee of the power plant, wrote in a court filing in early November that the closure of the mill altered demands for generating power and steam and required less frequent maintenance. The closure of the mill reduced the employee headcount at the power plant to 18 from about 60 when the mill was in operation. Twelve of the employees were union members. AIM Development purchased the mill and related power assets in late 2014 from Verso Paper, holding each under the subsidiaries Bucksport Generation and Bucksport Mill LLC. Bucksport Generation has retained control and continues to operate the mill through the bankruptcy with financing from its parent company AIM Development. The company reported it had $758,230 in cash on hand as of Nov. 30.